My mastering service will make the powerful moments in your music sound more powerful. The subtle parts will sound more pronounced, and less flat. I will add definition to your soundscapes. I'll clean out the unneccesary noise and hiss without removing any of the aggression or passion. I use proper compression, EQ settings, gain level and noise reduction to get the most out of your recordings. I welcome lo-fi demos and raw recordings. There is always potential! The free sample is paid for by you telling me exactly why I should give you a free sample. Show me that you have a passion for your music, and that you have a vision. Do not simply send me a file and a comment saying something like "impress me". The free mastered sample will be half of one song. Not sure if you need your recording mastered? Mastering is the final stage of preparing your music for release, so if you're serious about people hearing your music at its best, it's essential you get your tracks mastered properly. 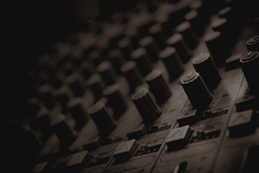 Good mastering ensures your music will sound great, no matter what kind of stereo equipment someone plays it on. The volume levels, bass, mids and high frequencies need careful balancing on each song, so your music sounds strong as a whole. This is especially important if you have several tracks that are recorded with different equipment, or in different studios. I'm an experienced studio engineer & musician. I run my own recording studio in Norway. I'll be happy to answer any queries you've got about mastering your recording.